Homeowners often make the mistake of skipping roof cleaning during their home maintenance routine because they assume they are wasting money. You can avoid these expensive roof problems and other issues by having your roof cleaned regularly. Debris on your roof, including leaves, that are left on your roof, soak up moisture and causes expensive extermination costs. The signs of a decaying roof include mold in the attic, sagging roof ridge, poor draining system, and decaying shingles. 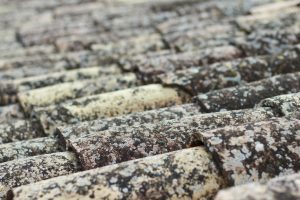 Due to roof decay, insects, such as termites, ants, and other unwanted pests, will make homes in the neglected part of your roof and begin to breed. Allergens, such as mold, mildew, moss, and even pollen, can trigger allergies, and cause a series of problems, a few of which include, swelling, rash, and fever. These problems can range from mild to severe. Over-the-counter medication is available, but there’s no need to continuously buy antihistamine to suppress your allergy systems when you can have your roof cleaned, and save money in the long run. Due to serious issues, such as black mold, you and everyone in your home may experience respiratory issues. Black mold can cause severe symptoms in your respiratory issues, even death. Chronic symptoms of black mold include nasal and chest congestion, runny nose, severe cough, wheezing, and itchy and watery eyes. Your roof will obtain an unsightly appearance due to mold, moss, mildew, black mold, and other things that will tarnish a roof’s appearance by leaving stains. Without a regular, proper roof cleaning, your roof will collect more debris over time, which can cause extensive damage to your roof. 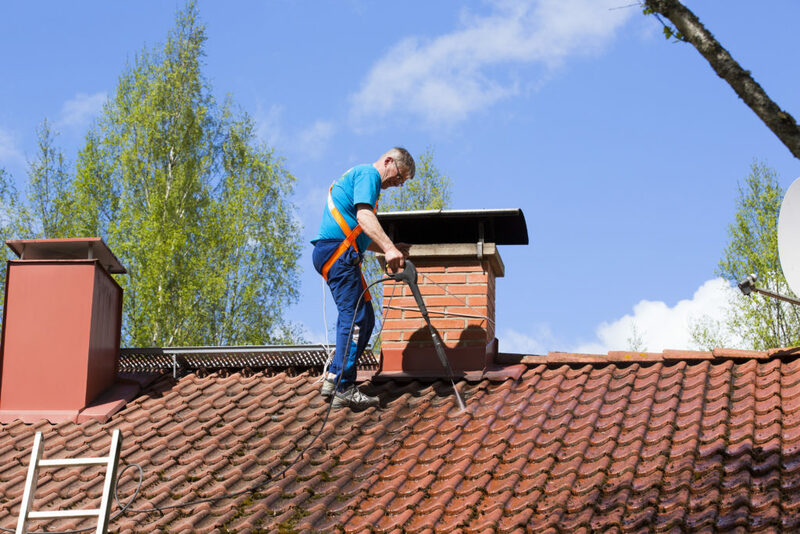 Roof cleaning is an essential part of any home maintenance routine. With a clean roof, many doors of opportunity become available, especially if you want to sell your home in the near future. A clean roof boosts your home’s curb appeal and tells buyers you took care of the home. Even if you are not selling your home, you and your family will enjoy fresh, clean air, and a beautiful roof. At Kleanway, we specialize in roof cleaning, pressure cleaning, and a variety of other services you will find beneficial to the maintenance and upkeep of your home. We are a family owned business that is licensed and insured, with over 20 years of experience pressure cleaning. We have the expertise and equipment required to give your home a fresh appearance. We know cleaning is not a favorite of many people, but it’s one of our strong suits, and we’re more than happy to help. We understand how precious time is, and sometimes, you don’t have enough to spare at the end of the day. Kleanway is here to save the day and prevent as many roof problems as possible. When you’re ready for your home to be in the best shape it has ever been, give us a call or contact us today for a free consultation. You’re in the best hands when you’re with Kleanway. Don’t Replace Your Roof, Clean It! Florida is the perfect breeding ground for roof algae due to the year-round warm and humid climate. Although black stains, moss, and algae make your roof an eye sore, you don’t have to replace it. The alternative to paying for a new roof is cleaning it. There are more benefits of cleaning your roof instead of replacing it. Black stains, caused by moss, algae, and sometimes mold, make your roof appear old and worn. These instances can damage shingles and other parts of your roof, causing you to pay for expensive repairs. Roof cleaning professionals use biodegradable chemicals that protect your roof from unsightly stains, marks, and growths, such as moss and algae, from growing on your roof for at least one year. Although getting your roof cleaned is beneficial, it’s not a one-time deal. You should have your roof cleaned every 18 to 36 months. The regular cleaning of your roof ensures it stays free of dirt and debris, and prevents severe damages that lead to costly repairs. Routinely cleaning your roof extends it life, and allows it to last more than 15 years. Replacing your roof is more expensive than cleaning it. A new roof exceeds thousands of dollars, whereas having your roof cleaned totals to a few hundred dollars. It’s a lot smarter to improve the health of your roof by cleaning it, and saving money in the process. It’s not safe to assume your roof doesn’t need to be cleaned because they are covered by a warranty. It’s in your best interest to keep your roof clean. Your roof needs to be properly maintained in order to keep you safe and prevent exposure to the harsh outside elements. Many insurance companies have someone come and inspect your home before they approve you for home insurance to see if you are a liability, which means you will cost them money. A dirty roof can have your insurance policy cancelled or denied because it’s the perfect storm for disaster. Moss, algae, and other buildup on a roof enable heat to build up in the attic, which causes your air conditioner to work harder to cool the entire home to a specific temperature. As a result of your air conditioner running longer and working harder, your energy bill will skyrocket. A clean roof increases the value of your home. This is great if you plan on selling your home or just want your home to be as valuable as possible. When you’re selling your home, buyers want everything to be as perfect as possible, and this includes your roof. If you want your home to be the most valuable home on the block, a clean roof will make your home stand apart from the competition, and can increase your home’s value by hundreds, even thousands of dollars. Kleanway Pressure Cleaning is a company and name you can trust. All of our professionals are licensed and insured. We are more than happy to share our roof cleaning techniques and clean your roof to preserve its beauty. Contact us today to get your free consultation! Roof damage is common and is caused by a variety of factors. Severe weather, including hurricanes and thunderstorms, take a toll on your roof. These valuable information will help you understand the effects of bad weather on your roof, and help you become familiar with common problems your roof is most likely to encounter. The benefits of Miami roof cleaning are often underestimated. Roof failure is common, especially in Florida, due to unfavorable weather conditions. Your roof has a minimum of 12 years, and a maximum of a 20-year lifespan. Due to the harsh weather conditions Florida endures, a roof’s life expectancy is drastically reduced to a 7-year minimum and 15-year maximum. Roof leaks are often caused by poor or improper roof installation. Once a roof erodes, water will enter, ruining wood and drywall. Roof leaks cause serious damage to your home. Common roof damage caused by leaks include attic and ceiling damage, issues with mold and mildew, fire hazards caused by water damage, higher utility bills, and compromised structure reliability. Water damage is a serious issue that is caused by shingles that are cracked, missing or curled. Other causes of water damage include, damaged flashing and wind and rain damage. Water damage destroys wood framing, personal belongings, furniture, wood flooring, and drywall. Mold and mildew have a negative effect on your health, causing coughing, rash, eye irritation, wheezing, and more. Contrary to the popular belief of many people, mold and mildew are two different things. Mildew is mold in its early stages, and mold is the end result of mildew. These bacteria and fungi breed and thrive in dark and damp locations. Mold and mildew often grow under shingles that receive the least amount of sunlight. Roof mold discolors and shortens the life of roof shingles, and leaves dark green or black stains on the roof. Roof cleaning done by a professional will get rid of mold and mildew spores instantly. Ponding water is puddle or pools of water on your roof that has collected due to dips or gaps in your roofing structure. Ponding or standing water is caused by clogged gutters, buildup of debris, and improper drainage of HVAC systems are the most common reasons for ponding and standing water. If this situation is not corrected, water damage is only one serious result you may have to deal with. A lot of the roofs in Florida have cracked, brittle, and broken shingles due to poor ventilation. The summer temperatures in Florida often exceed 100 degrees Fahrenheit, and without proper ventilation, not only are shingles damaged, the longevity of the roof is compromised. Proper ventilation allows your roof to regulate temperature, as well as, moisture levels in the attic. If moisture levels are not regulated properly, many issues will occur over time, including, rot, sheathing shingles, mildew, and mold. Florida is no stranger to severe weather, and neither are the roofs. Hail, strong winds, and heavy rains are common weather conditions in Florida, and because of these conditions, your roof will sustain serious damage. These conditions, make Miami roof cleaning important. Your roof should be cleaned at least twice each year. Your health, value of your home, and aesthetics are all based upon having a clean roof. Your roof will sustain damage over time thanks to mother nature, but having your roof cleaned is one of the steps you can take to safeguard your roof from unnecessary damage. A clean roof is a happy, long-living roof. Would you like to know more about Miami roof cleaning and tips to help you protect your roof? We are always ready to help. Contact us today to see how roof cleaning can save your roof. You want your home to be as clean as possible, and a clean roof is a great place to start. 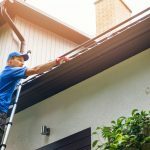 These 7 reasons to have your roof cleaned will make you wonder why you didn’t invest in this service sooner. There are many different roof-staining organisms that can severely damage your roof, and the wooden deck under it. 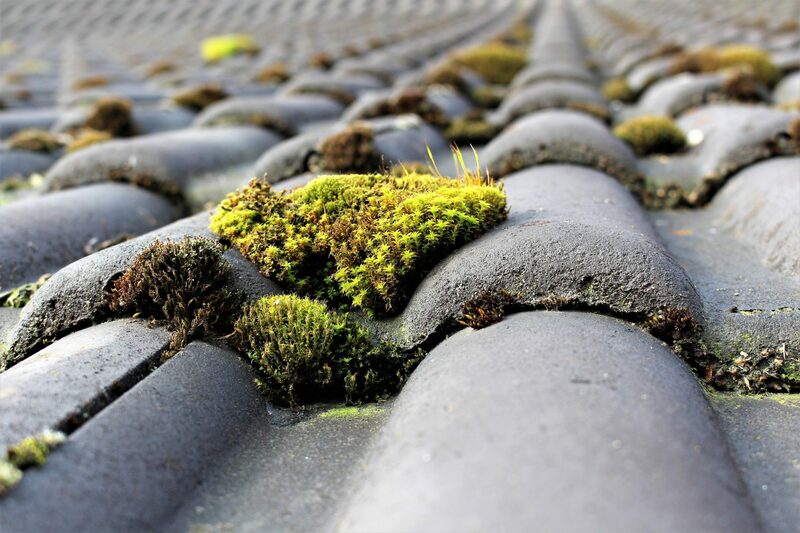 Organisms, such as lichens, algae, and moss feed on the organic material found on your roof. The longer these organisms feed on your roof, the weaker the roof becomes, and the more damage your roof sustains. Wood rot is caused by organisms eating through the shingles on your roof. Once these organisms reach the roof deck, wood rot will become an issue. Along with wood rot, mold can become another problem. As wood from the roof deck rots, moisture can get in through cracks and crevices, which is an ideal breeding ground for mold because it is damp and dark. Mold grows rapidly and causes health problems for people living in the home, including pets. Having a dirty roof puts you at risk for losing your homeowner’s policy due to becoming a risk. 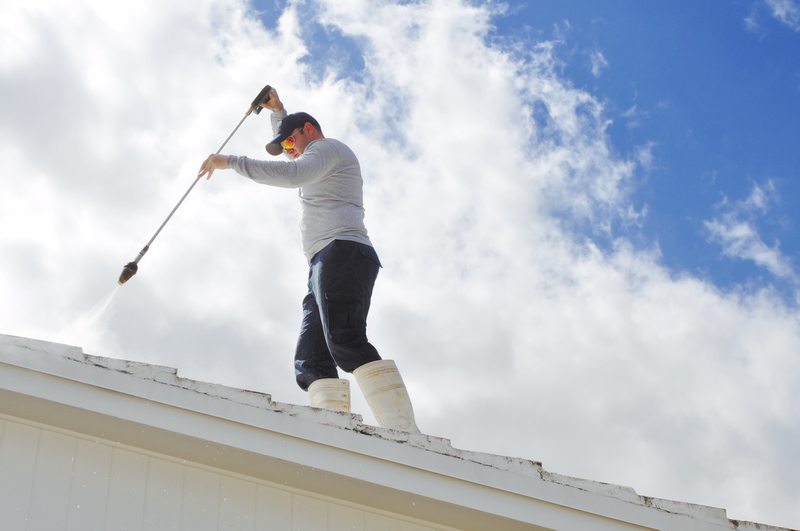 Many insurance companies urge homeowners to keep their roof clean while other insurance companies require it. In some instances, you will have one week to get your roof cleaned or face the consequences of losing your insurance policy completely. In the event you lose your insurance policy, it will be difficult to get insured with another insurance company due to high premiums. Your roof needs to reflect sunlight to avoid your attic from heating up and increasing utility costs. Increased utility costs are due to your cooling system constantly trying to keep the entire home at a specific temperature. When shingles are covered in algae, heat is absorbed, and begins to quickly heat your attic. Having your roof cleaned saves money. Making repairs to your roof or getting a new one is expensive, and it’s money you should keep in your wallet. Having your roof cleaned regularly helps you save money by preventing you from paying for new roof installation. Reveal the beauty of your home by keeping your roof clean. A clean roof is the final puzzle piece to a beautiful home. Your home is an important investment. 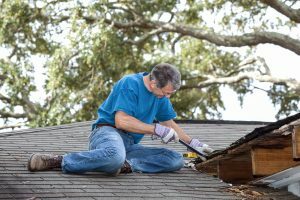 Keep it in its best condition by practicing proper roof maintenance techniques and cleanliness. We can get the job done in a timely manner so you don’t have to spend countless hours trying to clean your roof. We are professionals who are ready to help you! Contact us today to schedule an appointment. If you’re not ready to schedule an appointment, we can give you a free appraisal! There has never been a better time to have your roof cleaned and improve the appearance of the outside of your home. We are waiting for your call and ready to help. The outside of your residence endures damage everyday due to harsh weather conditions, including high winds, heavy rain, hail, and other unfavorable weather conditions. These conditions can cause your roof to chip, and collect dirt and grime. As time progresses, you will begin to notice the dull appearance of your roof. We recommended pressure washing your roof every year to keep your home’s appearance neat and clean. Pressure washing is essential for upgrading the outside of your home. Our pressure washing services help remove dirt, mold, and mildew from yuor home’s roof. You can avoid roof staning by pressure washing your roof. There are many different benefits of roof cleaning. While you’re spending countless hours on decorating and landscaping, don’t forget to clean your roof. It’s a part of your home, and you want it to look as great as possible. 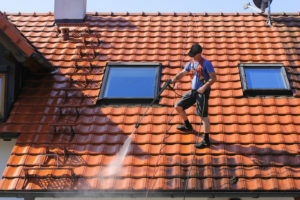 Cleaning your roof is especially important if you plan on selling or renting out your home. Many homeowners forget to clean their roofs or put it off until a later day. You don’t have to set aside time to clean your roof. We are ready to help you. Having a clean roof increases your home’s value more than you would think. You can get 2% to 5% more than your asking price. A clean roof goes a long way when you want other people to have the same pride in your home as you do. When you’re ready to sell your home, you need to make sure your home is ready to be sold. You only get one chance for a first impression. Mold and mildew are enemies to humans on any surface, and your roof is no exception. These bacterial fungal friends can break down and destroy any surface. They thrive in dark, damp places. Although your roof receives sunlight during the day, there are parts of the roof, especially under the roofing material, where mold and mildew can thrive and damage your roof. Your home’s exterior surfaces accumulate dirt, grime, mildew and other bacteria that you should avoid. Many bacteria and toxins are harmful and can cause health problems, including respiratory issues and skin problems. It is in the best interest of your health to let a professional handle all of your pressure cleaning needs. Buying a pressure washer will put a dent in your wallet, and renting one isn’t any cheaper. Our roof cleaning services at Kleanway Cleaning are outstanding. Roof cleaning is a time consuming task. We take the time to do our job to perfection and leave you satisfied with the results. No one cleans roofs or pressure cleans better than professionals, and we are ready for the job. For more information regarding pressure cleaning or roof cleaning, contact us. Schedule your routine roof cleaning with us today. 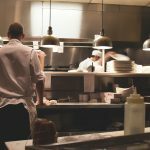 Engaging a professional roof cleaning service has many benefits. Roofs are solid, strong structures and need proper maintenance to last long. Part of the process needs you to clean the roof occasionally. Roofs are made of different materials. 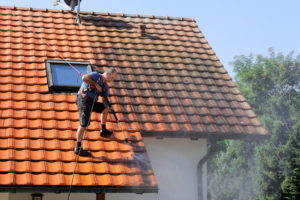 You can actually increase the durability of your roof by cleaning it every now and then. 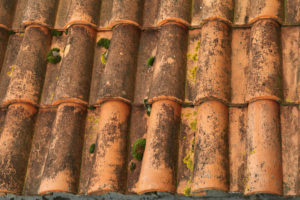 With time, the roof may develop black streaks and become a breeding place for algae, mildew, mold, lichen and roof moss which can make the surface look unsightly. Here are a few reasons why you should engage a professional roof cleaning service to clean your roof. The most obvious reason to engage a professional roof cleaning service is safety. Roofs can get slimy and slippery, especially after the rains. One wrong step and you might go tumbling over the roof to the ground. Many people have fallen from their roofs attempting to clean it or replace broken tiles, with disastrous consequences. Roof cleaning is a delicate job and best suited to a professional. Without proper equipment, you may not be able to reach all parts of the roof where grime, mold and algae exist. The condition of your roof can affect the valuation of your home and also how the neighborhood appears to others. Some people use pressure washers to clean their roofs, but it is a dangerous idea. Pressurized water can damage the roof and you might end up spending more on repairs than what you would have paid a professional roof cleaning company. It is also possible that you may step on the wrong tiles causing them to break, necessitating their replacement. Engaging a professional roof cleaning company is affordable and worth the investment, if you consider the long-term benefits. The small fee that you pay the roof cleaning company is a good trade-off against roofing replacements and repairs. 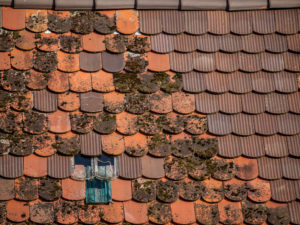 Grime, moss and algae buildup can harm your roof. Some areas of the roof may be better preserved than others. Once certain tiles get damaged, the only option is to replace them. What if the tiles are not available anymore? In such cases, you may have to replace the entire roof. Moreover, on an average, roof cleaning services cost just 3-5 percent of the total cost of replacing an entire roof. So it is better to get your roof cleaned than have it replaced completely. One out of three roofs have to be replaced before their time due to the home owner’s negligence towards their maintenance, causing them to get damaged beyond repair. Replacing the roof is an expensive proposition; an expense that you could have avoided if only if it were serviced regularly. If you want to learn more about how a professional roof cleaning service is different from a DIY service, please contact us today!